There is no wrong time to play golf. As I sit every morning looking out into the cold darkness writing golf articles, I dream of the hitting the links. This is my favourite time to play. The freshness of getting up early in the morning is matched by the tranquility of the quiet on the course. It is really the best time to loop the course. When I first started playing early it was out of necessity, as most fathers will understand. The sun peaking over the horizon during early birds! Osprey Links Golf Course 5th hole. Now, back to the article. I was having a conversation with Padraig from Ireland and he indicated that he loves early birds because he has kids still at home. As soon as I read his response I smiled and said “exactly” to myself. The reason I started playing early birds was to maximize my time with family on weekends and still get my round of golf in. In Ottawa, I would leave the house at 0400 hrs to drive 35 minutes to the course to be first in line for early birds. The sun would peak its nose out at about 5 am and off we would go. After playing 18 holes, I would be back home by 9 to have an awesome day with my daughter and wife. It was the perfect solution at the time. Well as it turned out, I started to really enjoy playing golf in the morning. It fit my game and I am an early riser anyway. So much so that now, even though my daughter is long gone, I still like getting up early and heading to the course. Most mornings I am the first player there and I chip and putt waiting for my friends. Of course this affords me time to enjoy my first coffee of the day as well. Playing early is part of my game. I enjoy the mornings most, but in reality I like playing anytime. Now that I have more time on my hands the pressure is off to squeeze that 18 in before everyone’s day starts. Yet, I still love the tranquility of playing early. When is your most favourite time to play golf? 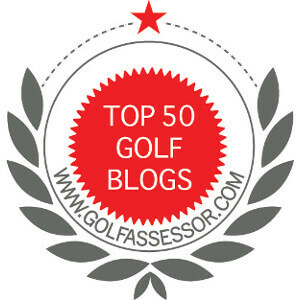 ← Friendship and Golf – Do they Go Together? BTW, I played this evening. It was crowded at the course I chose and slow going. I missed the last two holes even. But I got a confidence boost when I caught up with a twosome of younger guys who were obviously weight lifters and out drove them the rest of the day by at least 30 feet. I may not have all my distance back without the draw, but I proved to myself I can’t be missing much of it anymore and that felt awesome. They must have been twice as wide as me at the shoulders, and had arms the size of my thighs. lol I had a height advantage on them though and apparently a bit more skill though they had swings that didn’t look bad. Anyway, I just thought I’d share that. Even us “old” guys can still win a few long drive contests on occasion. A victory for one “old guy” is a victory for all “old guys”! Congrats on holding up our end of the game. I’ve played early morning rounds and understand the appeal. It is nice to be out on the course as the sun rises. But I’m not a morning person. More often than not, I’m finishing up work and heading to bed at 4 AM so most of my golf comes at the other end of the day. Playing during a setting sun has benefits too. It starts with being cheaper. Temperatures drop as you play rather than rise which is helpful sometimes in keeping your energy levels up. The sunset colors in the sky are better. The course is usually less crowded too. And since no one will be playing after you, most courses don’t mind or charge you for playing extra holes. That last is the best benefit of playing at the end of the day. I think there is no bad time to play!